How to cook quinoa for a low-cost, nutritious food that is an excellent source of storable protein. If you're looking for a low-cost way to add a complete protein as well as plenty of other valuable nutrients to your diet, you can't go wrong with Quinoa. Pronounced "KEEN-wah," this wonderful food contains all nine essential amino acids and is loaded with plenty of other valuable minerals as well. Talk about a storable food that's worth its weight in gold. Although it looks like a grain, Quinoa is actually an edible seed from a plant more closely related to leafy green vegetables, such as spinach or beets. This hardy, easy to grow plant does well in high altitude areas and originally came from the Andean region of South America. If you live in an area conducive to growing quinoa, consider planting enough to sell. Demand for this delicious food has skyrocketed in recent years, driving up the price of quinoa so that many of the locals in South America can no longer afford it. We definitely need more North American-grown quinoa. Unfortunately, quinoa only survives in situations where the temperatures stay below 90 degrees Fahrenheit (32 degrees Celsius), and it’s cool at night, the kind of temperatures you find in mountainous areas, as well as the northern portion of the United States or the southern part of Canada. Plant it when soil temperatures are around 60 degrees Fahrenheit. Quinoa needs full sun. Sow the seeds no more than one-quarter inch deep in rows one and a half to two feet apart. Thin the seedlings to 6 to 18 inches apart. 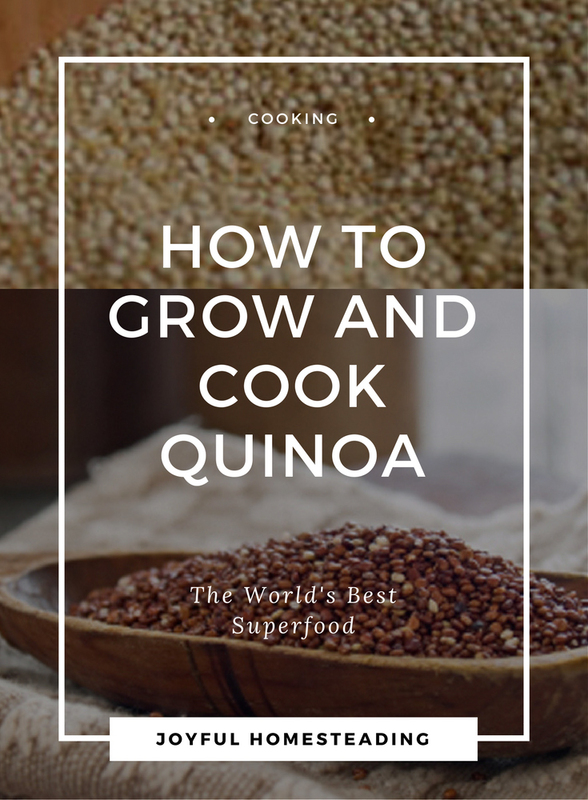 You can learn more about growing quinoa here. 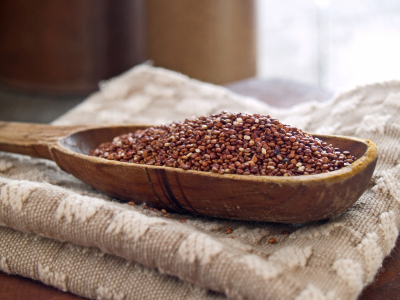 In addition to being a complete protein, Quinoa is also loaded with magnesium, manganese, iron, copper and phosphorus. Copper and manganese are both excellent antioxidants. If you suffer from migraine headaches, have diabetes or suffer from atherosclerosis, a daily diet of Quinoa will ease your symptoms. It also provides fiber and is good for your heart. If you suffer from a gluten intolerance, learning how to cook Quinoa and enjoying it regularly is a healthy option. It feels and tastes like a grain but is gluten free. Quinoa comes in three different varieties. White is the most common, but I also found red and black Quinoa available for sale at my local health food store. Learning how to cook Quinoa isn't difficult, but it is important to rinse your Quinoa thoroughly before you cook it. The surface of each Quinoa seed is covered with saponin, a natural chemical that repels insects (good), but also has a bitter, soapy taste (bad). Get a strainer and rinse your Quinoa until the water runs clean for the best taste. Once you have thoroughly rinsed your Quinoa, place it in a pot and cover it with twice as much water (two parts water for every one part of Quinoa). Bring it to a boil and then simmer it for 10-15 minutes. Once the Quinoa is translucent and all of the water is absorbed, it's ready to eat. Simmer one part quinoa to two parts water for 12-15 minutes. Allow to cool. Place all ingredients except lettuce and olives in a mixing bowl and toss together lightly. Chill for an hour or more to allow flavors to blend.